From Moscow to the eastern borders of China, the world’s longest railway line – the Trans-Siberian, stretches for more than 9,000 kilometres; a truly great railway journey – in this edition of Russian Life. 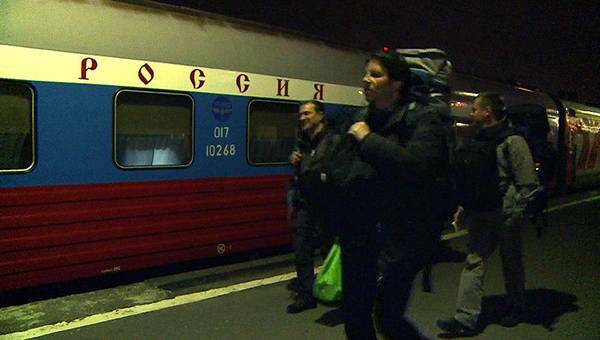 At midnight every other day, a “Rossiya” train leaves Moscow for a week-long trip to Vladivostok. It is an extraordinary trip and many come from far and wide to do it. It is a home away from home for hundreds of passengers who sleep, eat, enjoy the limited comfort and try to have a good time during their days on board the train. In the first and second classes, there are individual compartments that accommodate two and four passengers respectively. This is a popular mode of transport for tourists and businessmen alike who shuttle between Russia’s major cities on trains rather than planes. 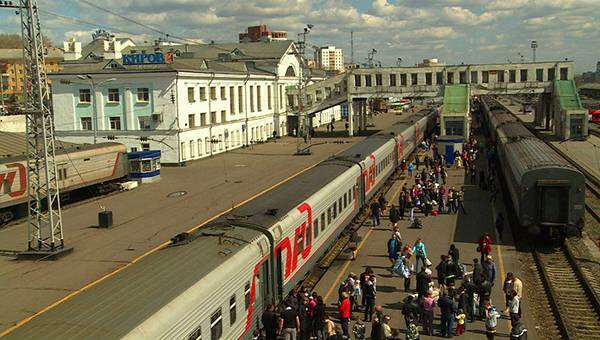 There are dozens of stations between Moscow and Vladivostok allowing passengers to stretch their legs for a few minutes and stock up on food and drinks. Many tourists prefer to visit some of the most interesting cities along the track before continuing their Trans-Siberian journey. Some of the most passionate travellers ride in the cheaper third class carriages: known as “platzkart”. Here people from many different backgrounds mix together in an open carriage throughout their odyssey. Inna Kryazhevskih who was travelling to Kirov said: “A train journey is a good time to reflect on something, to think of the things we never have time for in our daily lives”. 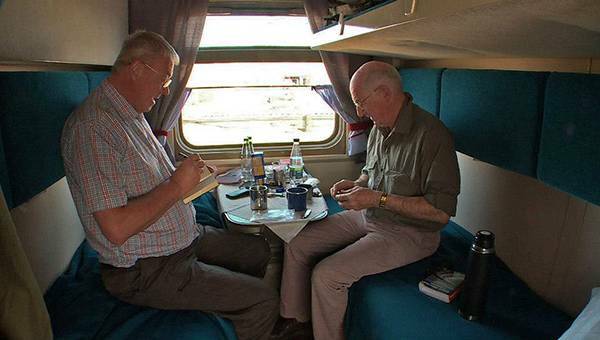 “You can learn a lot about Russia by crossing it from Moscow to Vladivostok on this train. If you observe other passengers, especially Russians, if you get to know them then you’ll understand many things about our way of life and the “mysterious Russian soul”. Lots of people decide to stop in the historic Siberian city of Yekaterinburg and then a few days further down the line in Irkutsk where they can see Baikal, the world’s deepest lake. From there they can head south to Mongolia and China or continue their eastward journey to Vladivostok, Russia’s main port city on the Pacific Ocean. Whatever the destination, for those with a spirit for adventure, the Trans-Siberian trip is a Russian speciality not to miss. “Unless you made all the way in the third class, and unless you visited every major city along the road, you haven’t really seen the Trans-Siberian”,- says Jeremy, a young aspiring writer from Australia. We’re talking, watched by other passengers with sincere curiosity, in the open space coach. Our train, “Rossiya”, just passed Khabarovsk and is making its final overnight segment of its six days long journey to Vladivostok. People make themselves at home. Some sleep, others read or talk; several passengers seem to enjoy their drinks, while others try to keep their kids entertained. 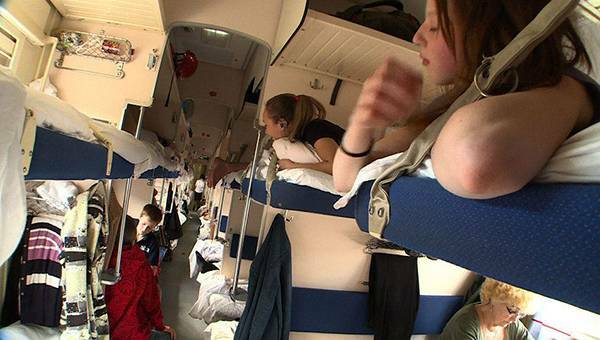 Most of the passengers are Russian: planes are too expensive for many families living in the Far East, so for them the Trans-Siberian is the only affordable way to visit their friends and relatives in other regions. Tourists like Jeremy are rare: most of foreigners don’t go past Irkutsk or Ulan-Ude, two cities at the magnificent lake Baikal. But for Jeremy, journey is a lifestyle. He hops off and on the train, exploring new places and getting to know random strangers – he told us of many dangerously sounding adventures, but he seems convinced he’s safe, crossing the largest country on Earth on his own, speaking no Russian whatsoever. He hopes to write a book based on this experience. The third class coach – so-called “platzkart” – should be perfect for those looking to socialize with locals, as there are literally no walls to separate the passengers. 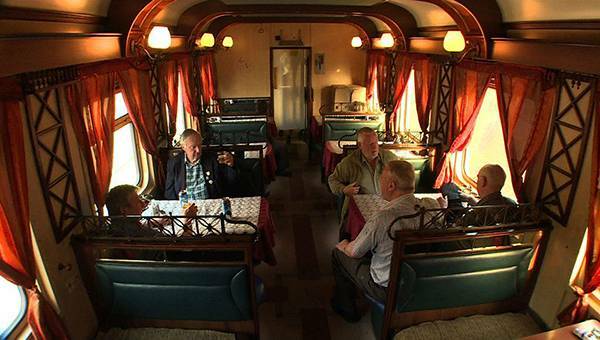 For those who prefer a more secluded experience, there are more expensive coaches offering individual compartments with TVs showing pre-recorded series in Russian, power outlets under the table allowing to keep mobile devices charged, and round-the-clock restaurant service. This can be a comfortable hotel on wheels for those who don’t mind long periods of isolation from the outside world; for others, the longest journey may feel like prison. But it’s always a discovery of the incredibly diverse, immense and enthralling country, its people and its life.